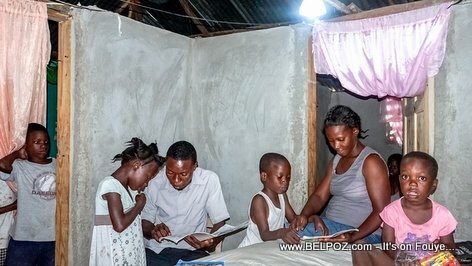 Now Frantzy Monfilston can help his children finish their homework at night because there's electricity in the house. What is Kay Pam Klere? 'Kay Pam Klere' or Electricity in My Home, is President Jovenel Moise's government initiative introduced in May 2017 to help bring electricity to an estimated 10,000 families in Haiti. "I can safely say that the electrification program will result in remote-area dwellers feeling less left out," says Monfilston, whose family is one of 850 living in Chansolme who have benefited from the initiative. Read the full story, In Haiti, solar panels key part of plan to bring electric power to remote areas from Public Radio International (PRI).